Unexplained hair damage, color fade, dullness, or dehydration may be due to your water supply. See if hard water or soft water is better for your hair. We're all too familiar with the kind of hair damage that comes from known culprits like over-processing, or a borderline dependency on your heat tools. But what about the issues you just can't explain? When you're dealing with persistent color fade, dullness, or dehydration, it may be time to talk about water supply in order to find solutions. How Does Water Type Affect My Hair? Water is categorized as hard or soft depending on its mineral deposits, and that varies from place to place. About 85% of us live in hard water territory in the US, meaning there are large amounts of calcium or magnesium. Think: Texas, Arizona, or Southern California. The softest water, on the other hand, is in New England, the Pacific Northwest, and Hawaii—where there are greater deposits of sodium. 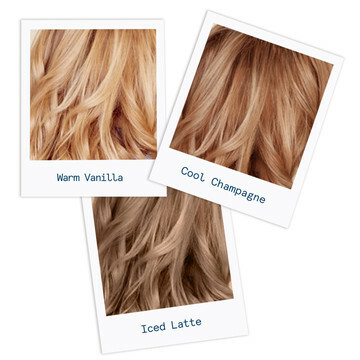 Different hair types react differently to the two types of water. For example, soft water will help tame and smooth coarse or damaged hair, while a hard-water wash will leave fine hair types with an improved, less oily texture. So if your dreamy beach waves went flop once you got back from vacation, chances are it wasn't your imagination, but the change in water supply. While it would be great to always have that vacation ‘do, the reality is you may be living in a water zone that's not necessarily well-matched with your hair. Fine hair, for example, may have a rough time with soft water. “You may notice your hair is left feeling more greasy and weighed down,” says hairstylist and eSalon Product Development Manager, Vivian. “You may also find that it takes a little longer to rinse out your shampoo and conditioner. Whenever I wash my hair in soft water, I always feel like it's a little slippery.” If this sounds like you, we recommend that you only use conditioner every-other wash, so that you aren't weighing your hair down with more oils. Also, re-texturing your hair with a little dry shampoo will be just what the stylist ordered. Hard water can be responsible for other kinds of hair damage. “It may be that your shampoo doesn't lather quite as much,” she explains. “Your hair might be more dry and lacks shine. Some people might even feel like their hair is more damaged because of the water.” If you've recently moved to a hard water zone and your hair is feeling a bit dull, try regaining your luster by washing your hair only when absolutely necessary. If you want a jump-start on hydration, try a deep conditioner. For a long-term solution? Invest in a shower head filter that removes the offending minerals. “If you've recently moved to a hard water zone and your hair feels a bit dull, try regaining your luster by washing your hair only when absolutely necessary. How Does Water Affect My Color? She suggests to avoid the temptation to wash your hair more than really needed. 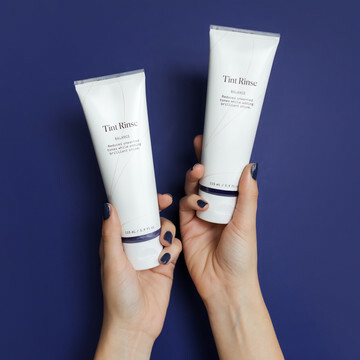 “Use a dry shampoo instead of washing every other time, and when you do shampoo your hair, follow with a color enhancing treatment to boost up your hair color and shine.” Try our Tint Rinse, available in 12 shades, to refresh, revive, and add pigment. Bottom line? Both water types have their pros and cons. But when it comes to the cons, it pays to have a few extra tricks in your hair care toolkit.